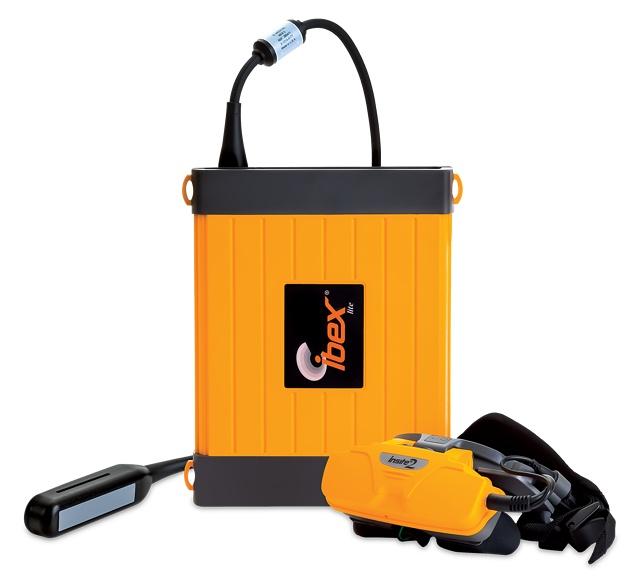 The Ibex® LITE, with most of the features of the Ibex® PRO but without the added weight and cost of the screen, is ideal for dairy practice and outdoor field work. Like other products in the Ibex® line, the LITE is rugged and water resistant, with a long battery life. Video headsets are great for working in both bright sunlight and low light conditions—the LITE has multiple headset options available. There are also a variety of interchangeable transducers available. Worn around the waist, the LITE is lightweight and makes for streamlined workflow. With 90% of the features and the same image quality of the Ibex® PRO, the Ibex® LITE is the ideal choice for bovine ultrasound. From basic repro to fetal sexing and calf lungs, the Ibex® LITE has all the features you need in an ultra light, ruggedized package. A wide variety of transducers and accessories make the LITE a versatile ultrasound for any situation. For more information, click here to download the brochure. To see the transducers for the LITE, click here.